September 1, 2011 May 13, 2014 Joanna V.
I am so glad it’s September. And I didn’t plan on blogging today but I have a couple of videos I took at the zoo to show you. 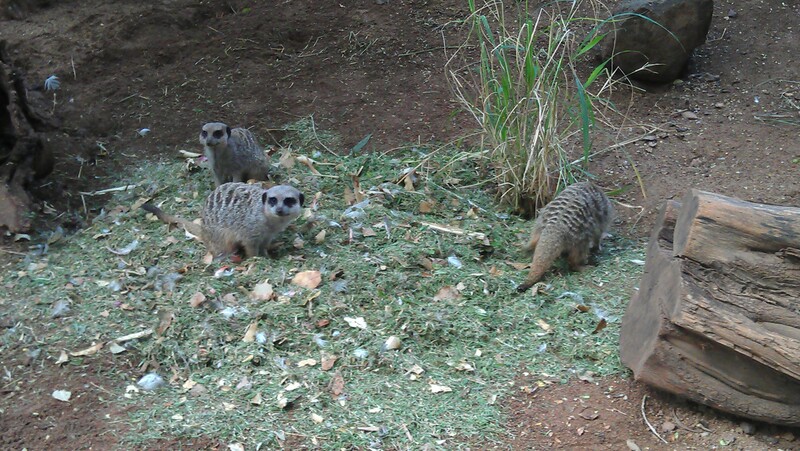 ^_^ Oh, and some meerkats hunting for bugs in a pile of grass. This video is a follow-up to the one I posted of the female lion during training. This is of the male, and he’s a lot further along. Here he’s already been asked to lie down, and is being asked to practice touching his elbow and then his side to the target. The other video is the male black rhino “bobbing” for apples in his pool (since we cleaned it really well today).